Rick Sessinghaus uses a combination of the best self-awareness profiling tool with proven peak performance coaching that helps the individual athlete, coach, and team perform at their highest level. Rick is a certified practitioner of Athlete Assessments’ DiSC Profiles, the leading profile used by Olympic athletes, professional, and top collegiate teams to improve both individual and team performance. A 2008 Olympic study found that the most significant factor in achieving a medal winning performance or personal best performance was a strong coach-athlete relationship, with high athlete self-awareness coming in second. Profiling is the fastest and most effective way of developing the ‘people side’ of your sport. 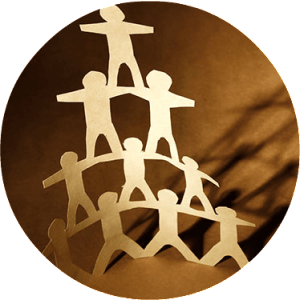 Overall, profiling provides practical strategies to improve performance through stronger communication, more effective relationships, tailored coaching, and identifying how each person contributes their best to the team. 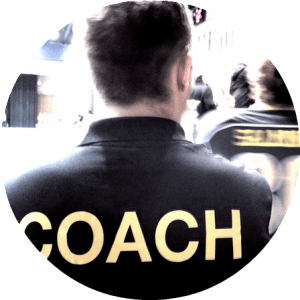 When your coaches use the CoachDISC Profile, you can better understand your individual coaching styles, complement each other and work even better as a united staff. The Athlete DISC Profile provides specific strategies to effectively coach each athlete according to their needs. Identify the athlete behaviors producing their best (and worst) performances. This enables you to assist the athlete to create greater consistency in performances. It is a useful tool to build self-awareness in your athletes. Enables your athletes to take a greater responsibility for their behavior, both in their sporting and personal performance. The athletes understand the impact they have within the team environment. They become equipped to manage and improve relationships within the team. This is time efficient and effective. You gain a deeper understanding of each person to a level previously not possible in the same time. This critical information frees up your valuable time and energy to be more strategic with your coaching, practices and competition planning. For the team as a whole, provides a tangible methodology to develop team chemistry and to understand and further improve the team dynamics. Designed specifically for sport. Reports written specifically for athletes, coaches and sports staff, in a language they understand. Step 2: Your athletes then complete their AthleteDISC Profiles. The AthleteDISC Profile, while similar to and aligned with the CoachDISC, is specifically for athletes. After each athlete has completed their survey, individual AthleteDISC Profile Reports are compiled which details how to better communicate with and motivate each athlete, their strengths and limiting behaviors, the type of environment the athlete will perform best in, and vital coaching strategies to maximize athlete performance. Step 3: There is a series of Consultations for the coaches, to support the use of the DISC Profiles to ensure you get exceptional value from the experience. The consultations take you through the background, theory and application of the Profiles and are tailored to your specific circumstances. We debrief the coaches' results and how you work best as a coaching team (after Step 1). We debrief the individual results of your athletes as well as the team dynamics of different combinations of athletes within the team. With the consultations spaced over time, we work with you to ensure on-going support and to address any specific needs as required. Step 4: At least one of the Consultations is with the entire team, to debrief your athletes on their results, how to apply this to improve their individual performance and contribution to the team. Special Resources Pack with Coaches Handbook, Coaching Philosophy Workbook and access to videos. On-line ‘Master Account’ for storage and access to all results, now and in the future, as well as full administrative support in using our Profiling system. Option to include your team support staff & administrators with the use of the Sports ManagerDISC Profile. Each DISC Profile (AthleteDISC, Coach DISC and Sports ManagerDISC) includes the online survey, individual 44-page DISC Profile Report, personal online account, and optional capability to use the 360 feedback service at no additional charge. The Team Dynamic Report and Team Summaries are also provided at no additional cost. Contact Rick today to set up a complimentary 15 minute call to create a customized PERFORM coaching solution for your coaching staff and team.